​Jody Wilson-Raybould's resignation from cabinet this week has stoked long-standing frustration, disappointment and anger among Canada's veterans, who say they have been ignored and betrayed by the Trudeau government. The Liberals went out of their way during the last federal election to court former service members, as Justin Trudeau promised to improve service delivery and reinstate a lifelong disability pension for veterans after years of Conservative cuts and inaction. That pension, first introduced after the First World War, was abolished in 2006 with support from all federal parties and replaced by a suite of rehabilitation programs and financial compensation for injured soldiers. Since then, the Liberals have run through three Veterans Affairs ministers in as many years — Kent Hehr, Seamus O'Regan and Wilson-Raybould — while making little headway on improving service delivery and breaking their pension promise. The government has increased some supports and benefits for veterans and unveiled its own so-called Pension for Life program that will roll out in April, but that program has been widely assessed as falling far short of Trudeau's original pledge. "Our key concern is there's been a betrayal of the commitment that the prime minister made in the election of 2015," said Brian Forbes, chair of the National Council of Veterans Associations, which represents more than 60 veteran groups. "That is felt very strongly in the veterans' community." The Liberals have also been roundly accused of ignoring the various ministerial advisory groups and other mechanisms established after the 2015 election to solicit feedback from the veterans' community about its needs and concerns. All of which had sowed seeds of discontent even before Wilson-Raybould was handed the Veterans Affairs portfolio on Jan. 14, taking over from O'Regan in a move widely regarded as a demotion from her previous role as justice minister. Now, while parliamentarians and Canadian voters wonder about the truth surrounding Wilson-Raybould's discussions with the prime minister's office about SNC-Lavalin, many veterans feel they have been forgotten. Defence Minister Harjit Sajjan has added responsibility for veterans to his duties, but only temporarily. "It's like the veterans are the last priority in this story," said Aaron Bedard, an Afghan War veteran from B.C. who led an unsuccessful legal battle against the government to reinstate the old disability pension. "We don't have a minister of Veterans Affairs anymore." Even before Wilson-Raybould's departure, some veterans and veterans' groups had questioned the number of ministers who have handled the portfolio under the Liberals — and what that says about their importance to the government. Not that the trend has been unique to the Liberals; all told, there have been seven Veterans Affairs ministers in the past decade, not counting Sajjan. The Conservatives had three in less than two years, leading up to the last election. That in itself creates difficulties, says Scott Maxwell, executive director of Wounded Warriors Canada, which helps former service members with mental-health injuries, because new ministers take time to find their footing. "It just makes it difficult to get the work done," Maxwell said in an interview earlier this month, before Wilson-Raybould's resignation. "That's something we've tracked as a barrier." Yet Wilson-Raybould was also different in that many of her predecessors were seen as up-and-comers getting promotions and looking to impress, not senior ministers getting a demotion. While she repeatedly denied that description, insisting that working for veterans was vitally important, it nonetheless stuck with some veterans. "When you're saying you're being demoted and you're being sent to Veterans Affairs, it's a slap in the face for us," said Daniel Tremblay, an Afghan War veteran from Ottawa who is now struggling with back problems and post-traumatic stress. "It should be a promotion, not a demotion. That way you know the individual wants to be there and cares for us." 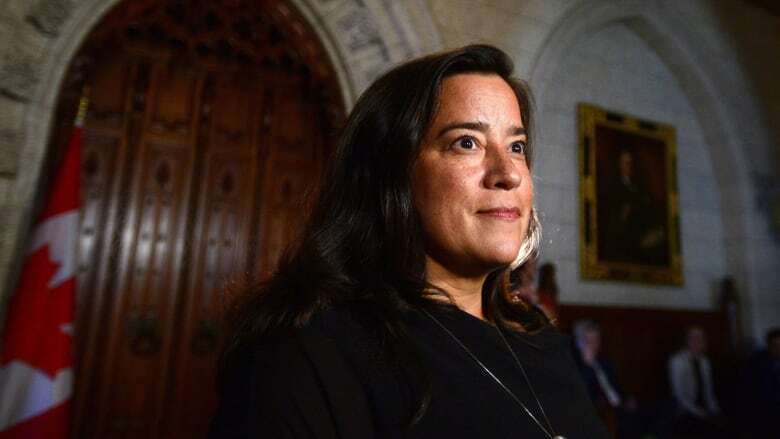 The Trudeau government is scrambling to contain the damage caused by Wilson-Raybould's resignation, which followed a Globe and Mail story saying the Prime Minister's Office had pressured her to intervene in a criminal case against SNC-Lavalin. Yet her resignation also makes a difficult task for the government even harder, as the Liberals already faced an uphill climb selling their Pension for Life program ahead of this year's federal election. It's difficult to assess how veterans' concerns affect federal elections given that the community is spread across the country, but anecdotal evidence has suggested many former service members voted Liberal in 2015 — largely because of the disability-pension promise. What happens in the election? That appears almost certain to change in October — although the question is who veterans will actually support. Bedard, who worked with the Liberals in the last election, said the Conservatives have repeatedly reached out to him and other veterans over the past year or so. And he believes many who feel betrayed by Trudeau will follow him in voting for the Tories under Andrew Scheer or, barring that, Maxime Bernier's upstart People's Party of Canada. "It's just lip service everywhere," Bedard said of Trudeau. "I'll do everything in my power to make sure he's out. And I know every veteran I talk to on the phone and all of my closest friends that are passionate, advocate-type veterans will do anything to get this guy out. He betrayed us." Yet others still remember the deep cuts to frontline work at Veterans Affairs Canada that were imposed by Stephen Harper's government and the Conservatives' refusal to reinstate the disability pension after a decade in power. "The [Veterans-Affairs] file has been mismanaged for a decade or more," said Nova Scotia veteran David MacLeod, who was forced to leave the military in 2010 for medical reasons. "Based on mismanagement alone, I will not be supporting any of the major political parties in the coming election. I support one of the smaller parties or a credible independent candidate."